The electric grid—a staple of our daily lives and the nation's economy—is considered to be one of the greatest engineering achievements of the 20th century. But increased electricity use by the nation's population as well as natural and human forces are changing the face of our already-stretched-thin electricity infrastructure. Such forces include mayhem resulting from cyber-attacks and extreme weather events that cause billions of dollars in physical and economic damage. At PNNL, we are partnering closely with DOE, other national labs, industry, and academia to modernize the grid and achieve a more secure, robust, and vibrant energy infrastructure. Advanced grid modeling: We are developing grid modeling, simulation, and analysis tools needed to understand the interdependencies among grid subsystems—transmission, distribution, and communication—impacted by the increasing penetration of renewables. Energy storage: We are leaders in developing stationary, large-scale batteries for a resilient, more reliable power grid as well as longer-life batteries for the electric vehicle market. Our advancements range from vanadium redox flow batteries used for grid energy storage to powering devices the size of two grains of rice. SmartGrid R&D: We are leading the charge on transactive energy—turning traditional "one-way" electricity delivery into a two-way transactive power grid. We successfully pioneered the first transactive energy demonstrations, and we continue to develop this approach through projects that span multiple campuses. Cyber: We are partnering with utilities by developing programs that foster cyber threat information sharing as well as training that links industry, government, and law enforcement agencies together to conduct cyber-attack scenario exercises. Emergency response: Through new satellite-based tools, we are helping utilities and other stakeholders identify areas of greatest infrastructure damage from extreme weather events, such as hurricanes or tornados. The challenge to transform the U.S. power grid to meet the demands of the 21st century is daunting and urgent. To meet this challenge, the U.S. Department of Energy harnessed the scientific and technical power of its national laboratory system with the formation of the Grid Modernization Laboratory Consortium (GMLC). 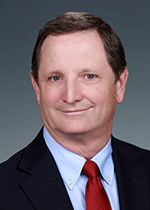 This strategic partnership between DOE and 13 of its national laboratories involves coordinating unique capabilities across collaborating institutions. As a part of this effort, PNNL researchers are helping develop the framework for U.S. industry and regulators to achieve a national power grid that seamlessly delivers clean and reliable electricity to people wherever they are, whenever they need it. See a complete list of the GMLC projects that our researchers are working on. The Energy Storage Safety Collaborative seeks to forge stronger collaboration among all stakeholders associated with energy storage technology, from development and deployment to incident response and more. 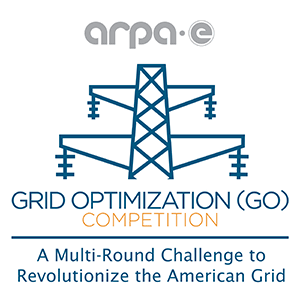 PNNL played a leading role in developing the first-ever Grid Optimization Competition for DOE. Competing teams worldwide are developing transformational ways to advance America's power grid of the future. 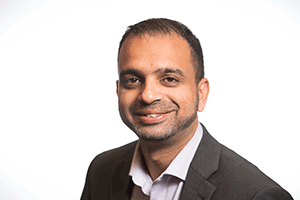 Karan Kalsi, a PNNL power systems research engineer, has received the Lab's 2018 Ronald L. Brodzinki Award for Early Career Exceptional Achievement. He received the honor for accomplishments in developing and applying control strategies for enhanced security, reliability and efficiency of large-scale complex infrastructure energy systems. 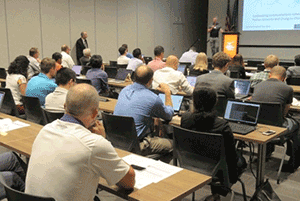 Control Day at PNNL, held on August 29, highlighted PNNL-developed control capabilities for large infrastructures, like the power grid, and other applications. 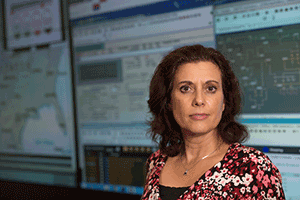 Lori Ross O'Neil, a PNNL Energy Cybersecurity Project Manager, has been elected to the (ISC)2 Board of Directors. (ISC)2 is a 138,000-member international nonprofit association focused on inspiring a safe and secure cyber world.